Post offices Looking to buy a post office? There are almost 3000 Licensed Post Offices in Australia. They are privately owned and operated, and are often operated in conjunction with another business such as general store, pharmacy, Lotto agency, newsagency. They vary from very small offices, usually in remote rural areas, to large suburban outlets. Most LPOs have access to Australia Post’s electronic point-of-sale (EPOS) system. Small LPOs which are manually operated provide limited banking services. LPOs provide their customers with access to a wide range of products and services including postal products and services, billpay, banking, money orders, postal packaging and mail services. Most post offices also provide products and services such as stationery, greeting cards, phone cards, photocopying, facsimile, small gifts and so on. PO box services are available at most LPOs and customers can arrange for mail redirection. LPOs are often open extended hours. Licensees are not Australia Post employees, but have a Licence with Australia Post to operate the LPO. They provide their own premises, set-up and staff, and are paid fees, commissions and discounts for work performed. LPO sales are often advertised in weekend newspapers, under the Businesses For Sale column. Some are sold privately by the vendor while others are sold through an Agent. There is no territory with a post office licence, nor is there a term to the Licence. A Licensee can sell the post office licence at his/her discretion, subject to Australia Post approving the incoming Licensee. Any prospective purchaser should check their eligibility to be a post office Licensee with Australia Post prior to purchase. As well, Australia Post expects certain skills and standards from Licensees, including ability to relate to customers and to retain and build up the retail business. Trustworthiness, reliability and the ability to keep customers’ business confidential are essential. Australia Post will provide training to the incoming Licensee, including training with Australia Post’s technology where applicable. Post office counter staff are the face of the post office and high standards are expected of them. Licensees are also franchisees, and are thus covered by the Franchising Code of Conduct. A disclosure document must be provided to prospective purchasers by Australia Post and the vendor. Purchasers should acquaint themselves with the Franchising Code of Conduct, a copy of which is available through the ACCC. The franchisee manual is designed to help prospective franchisees – including prospective Licensees – to understand their rights and responsibilities under the Franchising Code of Conduct. You can download a copy of the franchisee manual from the ACCC website. 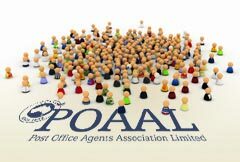 When you sign your purchase contract, please contact POAAL and we will arrange to send you a membership kit, a membership application form and some insurance information. We can help arrange the mandatory Public Liability insurance for you. You can complete an online expression of interest, download an Expression of Interest form and send it to us or ring our National Office on 03-96544533. Q: How is the price of an LPO calculated? A: The purchase price is determined by many factors, including financial performance, location, in-conjunction business and other factors. If you have questions about the price of a specific LPO, consider seeking professional advice. Q: Can I set up my own Licensed Post Office? A: No, however Australia Post does occasionally set up new LPOs. You can express an interest via the Australia Post website. If you’d like more information from POAAL on buying a Licensed Post Office, please fill out the form below and click “Submit”.